A grand Ballroom surrounded with large windows offering both sea and city land mark views. 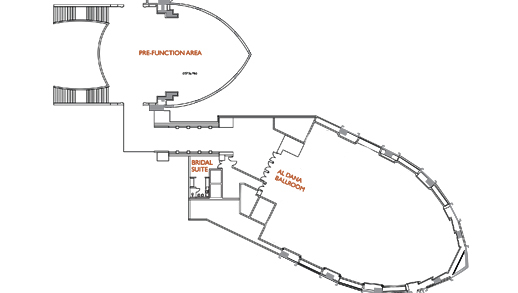 Private and exclusive bridal suite with separate entrance to the ballroom as well as a direct elevator with connection to the hotel floors. Large pre-function area overlooking the lobby for a welcoming cocktail receptions.